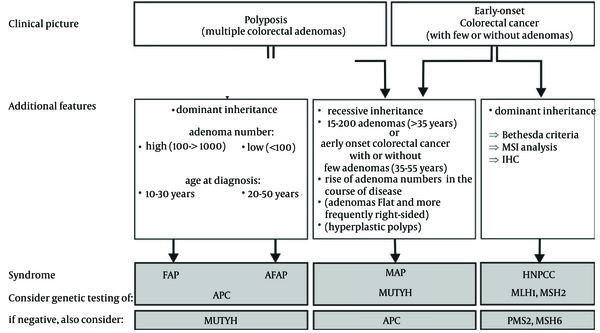 To Cite: Hamzehloei T, Davoodnejad Dehsorkhi M. Colorectal Carcinomas, a Consideration on MUTYH-Associated Polyposis, Shiraz E-Med J. 2014 ; 15(3):e21868. doi: 10.17795/semj21868. Figure 1. 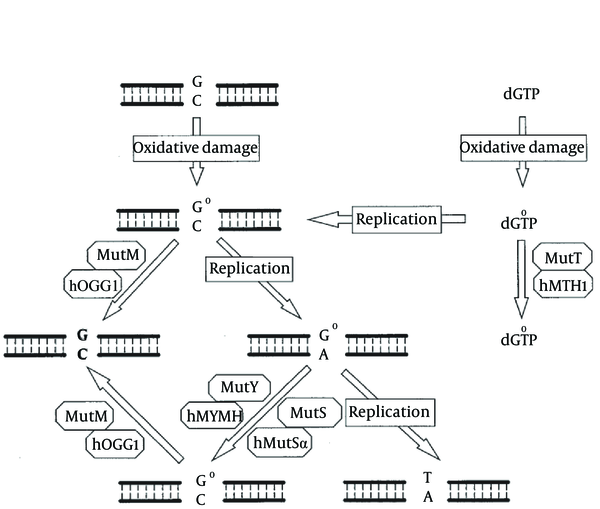 8-OxoG Repair in E. coli and Humans.